First of all, thanks to all my readers and supporters. I truly appreciate you. You all have definitely been a great part of my blogging journey. With that, I've decided to open the floor to you. Doing something different on the blog today. I'm asking you, my lovely readers for your inputs / suggestions. What would you like to see or see more of on the blog? Could be a topic, a segment, different style, anything. Also, been meaning to do this for awhile and this seems like perfect time for it in conjunction with the above. Do you have any questions you've been wondering about or meaning to ask me. It could be about me, the blog or anything. Now is the time to ask. 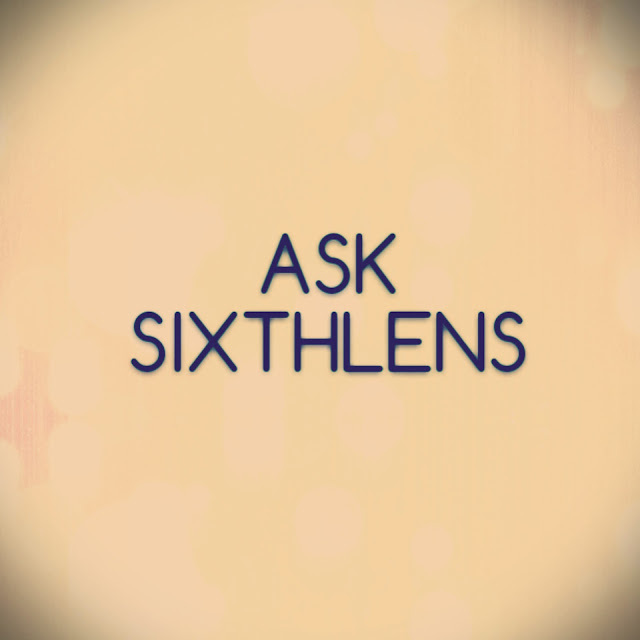 Again, you can post questions in comment session below or email at sixthlens@gmail.com. I'll try my best answer all your questions. Looking forward to your inputs/suggestions and questions.